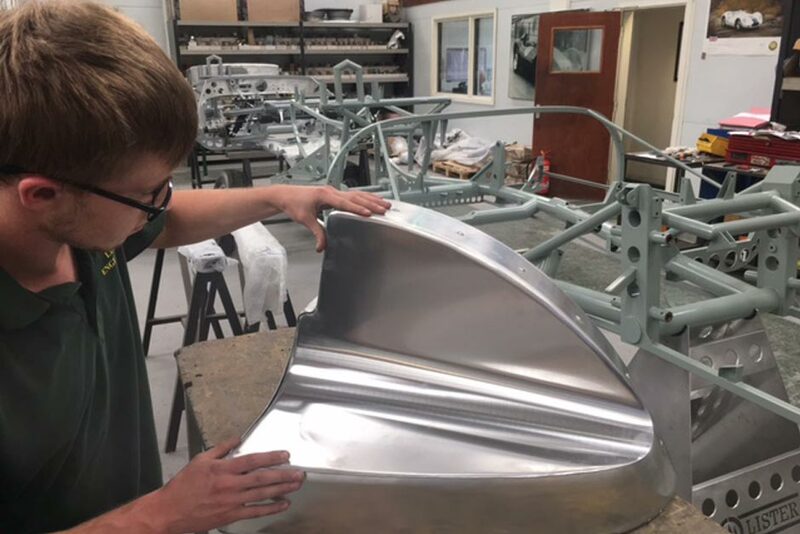 With the launch of the Lister Knobbly Stirling Moss, the team at George Lister Engineering have been very busy building The Stirling Moss edition. As in the past the Lister Knobbly Stirling Moss is being handcrafted by the expert engineers at the factory, under the watchful eye of Colin Crisp, who worked on the original cars in the 1950s, continuing to use the same skills and techniques that were employed in the 1950s. 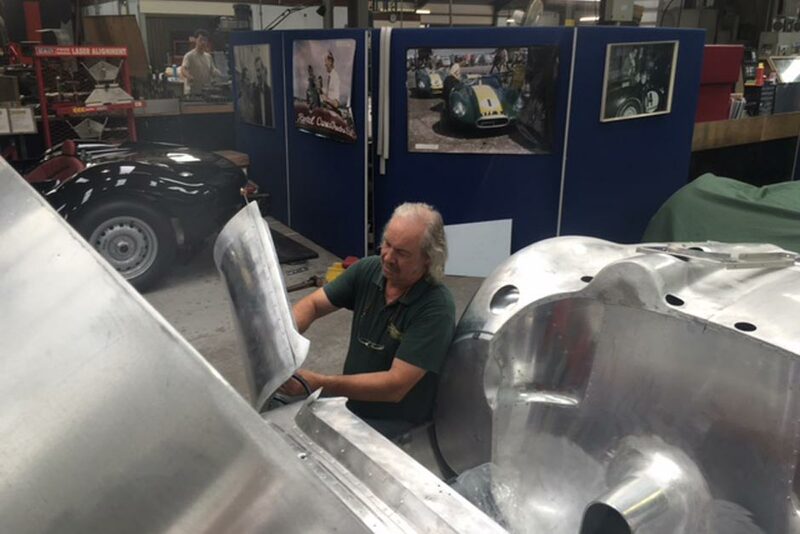 The chassis is being made using exactly the same jig as was used for the first Knobbly back in 1958, while the bodies are being formed around the same styling buck. The body of the Stirling Moss edition car features lower, more aerodynamic front wings, known as the long wing design, which helps the car slip through the air more easily while also improving stability, by reducing front-end lift at high speed. This modification is the sole aesthetic difference between the Stirling Moss editions and the standard cars. The other main difference is the material out of which the body is made: magnesium. Lighter than aluminium by around 30 per cent, magnesium is much harder to form into different shapes, and whereas aluminium can be re-formed, magnesium cannot. It is also more expensive and harder to come by. The skill of the body former is therefore crucial: he must make sure there is no waste material, yet also turn perfect panels again-and-again. As a result, the process is more painstaking and requires even more expert craftsmanship. Magnesium is not just used in the body. 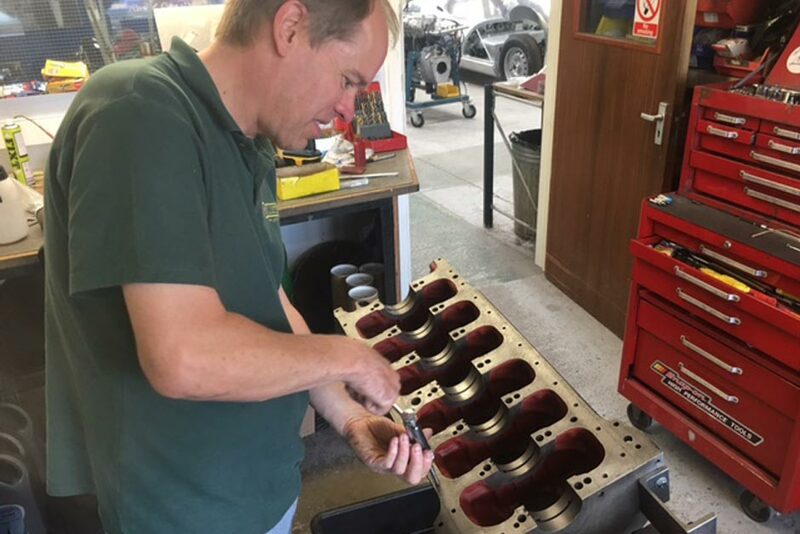 It is also used for the clutch and differential casings and the sump of the 3.8-litre Jaguar D Type Racing Engine, the same engine that appears in the continuation Knobbly. It takes around 4-6 weeks to form an entire aluminium-bodied Knobbly – the magnesium-bodied Lister Knobbly Stirling Moss editions require 12-18 weeks, three times as long. 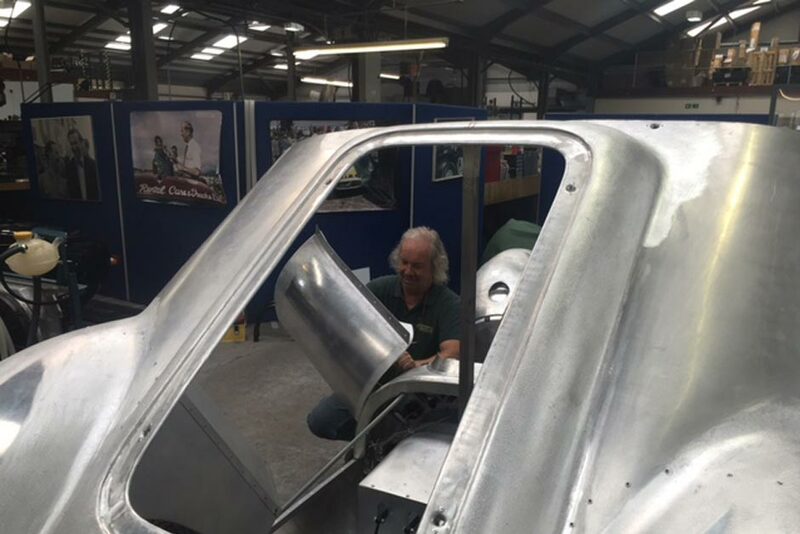 The panels are formed using the same styling buck as was used on the original works cars. 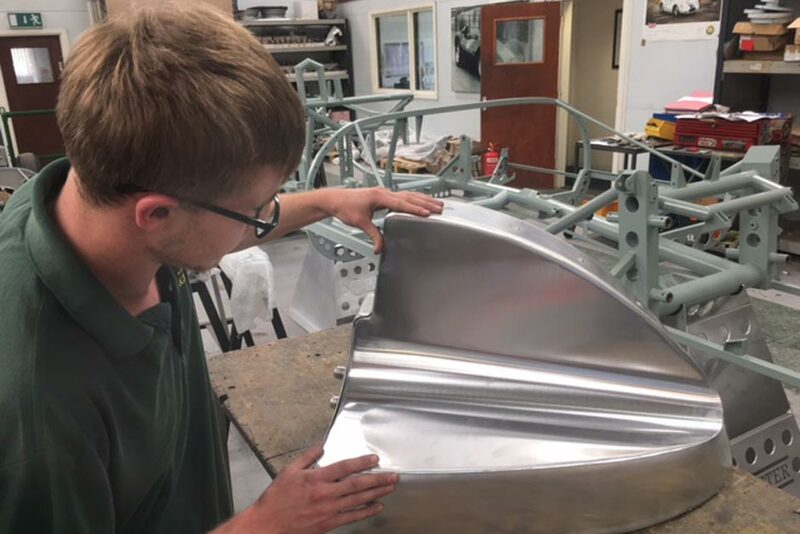 This bodyshell is then painted the same classic green and yellow as the original car that Moss raced back in 1958 at Silverstone. 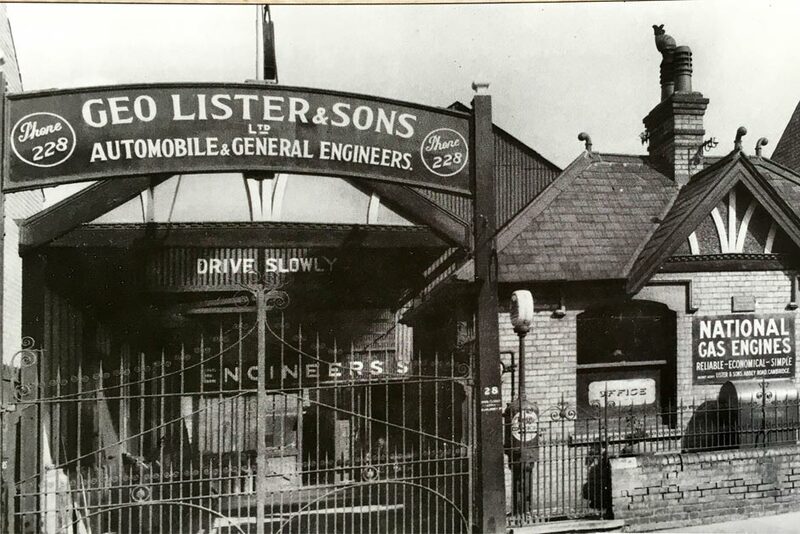 The Lister factory is currently working on three customer cars. 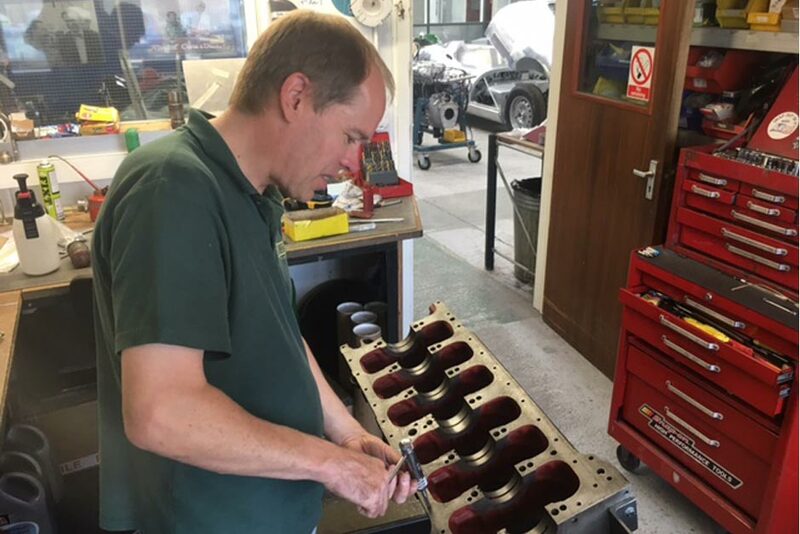 With one of the cars in the process of having it’s handmade body fitted, and a 3.8 litre straight six engine is under build for a customer, which should be completed in the next 2 weeks. The images show the body being assembled, the engine being built and preparing the oil tank in preparation for welding. Stay tuned for more completion information and images of the Lister Knobbly Stirling Moss.